5.1 x 3.7 x 3.0 in. 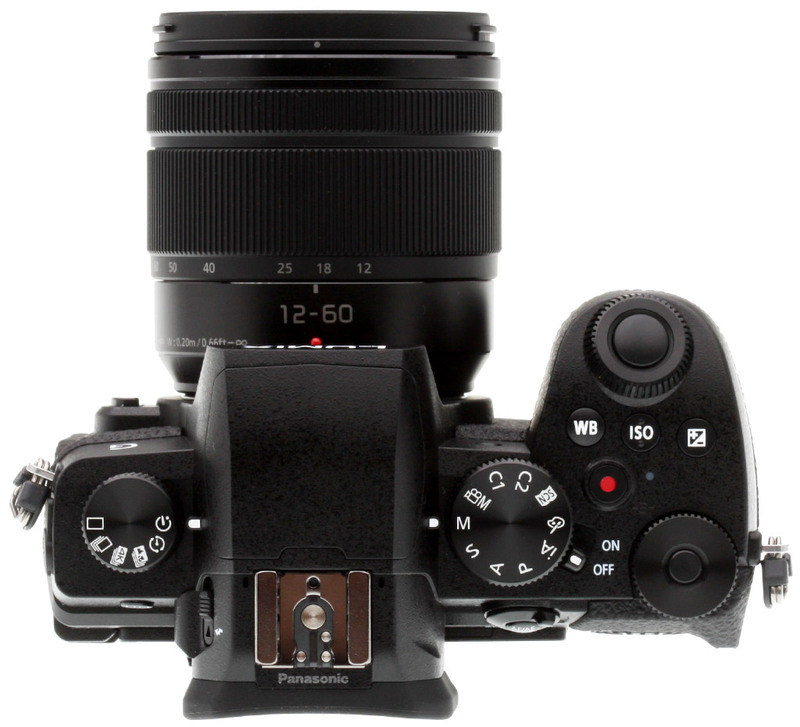 As Panasonic's new S Series full-frame mirrorless cameras hit store shelves, the company wants to show that they still remain committed to the Micro Four Thirds system and the idea behind it to blend performance and portability. The new Panasonic G95 camera (known as the G90 and G91 in some markets outside the US) hopes to exemplify this commitment by combining some of the performance of their flagship stills-oriented Lumix G9 camera with the compact and lightweight form of the Lumix G85. The new G95 incorporates the 20.3-megapixel Four Thirds sensor found in the G9, the same general size of the G85 and some video features brought down from the GH series. In fact, Panasonic says that the G95 is their camera which comes closest to being a true photo/video hybrid camera. Whereas the G9 is more oriented toward still photography and the GH5 is aimed more at video-heavy users, the G95 aims for a 50/50 split. It is not always obvious who the target audience for a particular camera is, but in the case of the G95, Panasonic has been very clear. The G95 is aiming to be a true hybrid content creator and will be targeted at both amateur photographers and videographers. While it does share some features with the G9 and also with the GH5, the G95 sits below those flagship cameras in Panasonic's lineup, aiming to be more affordable than either of them. 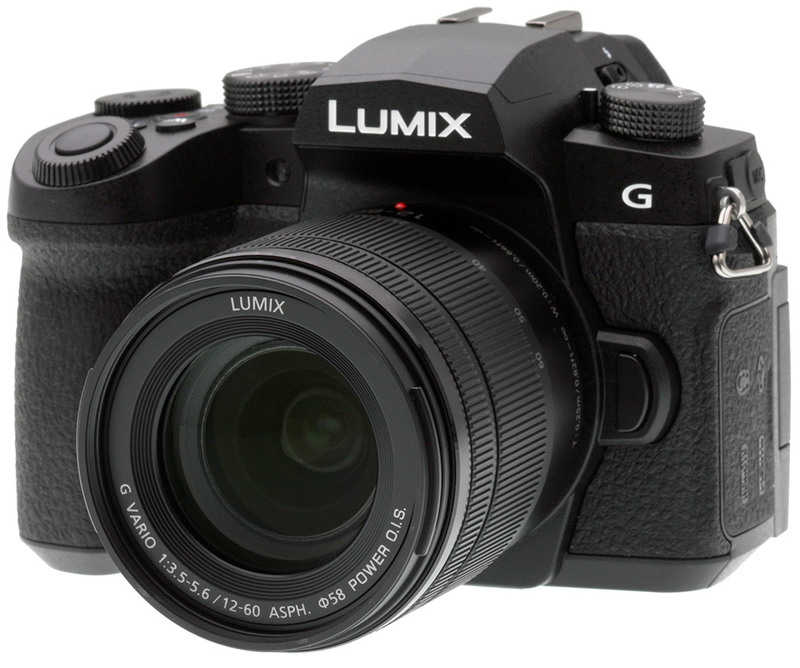 Similarly, while it shares features with the G85, the G95 is meant to be a better alternative to the G85, which will remain in Panasonic's lineup. The G95 is generally the same size as the G85, although it is slightly larger in every dimension and weighs just a bit more. Specifically, the G95 is 5.13 inches (130.4 millimeters) wide, 3.68 in. 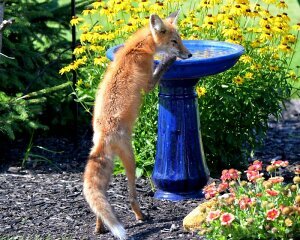 (93.5mm) tall and a maximum of 3.05 in. (77.4mm) deep. It weighs 18.9 oz (536 grams) with battery and card, which is 1.1 oz (31 grams) heavier than the G85. Regarding ruggedness and weather sealing, the G95 is constructed using a magnesium alloy front frame and thorough sealing around joints and controls, and when used with a weather-sealed lens, it offers Panasonic's full level of weather resistance. The G95 includes numerous improvements and changes over the G85. 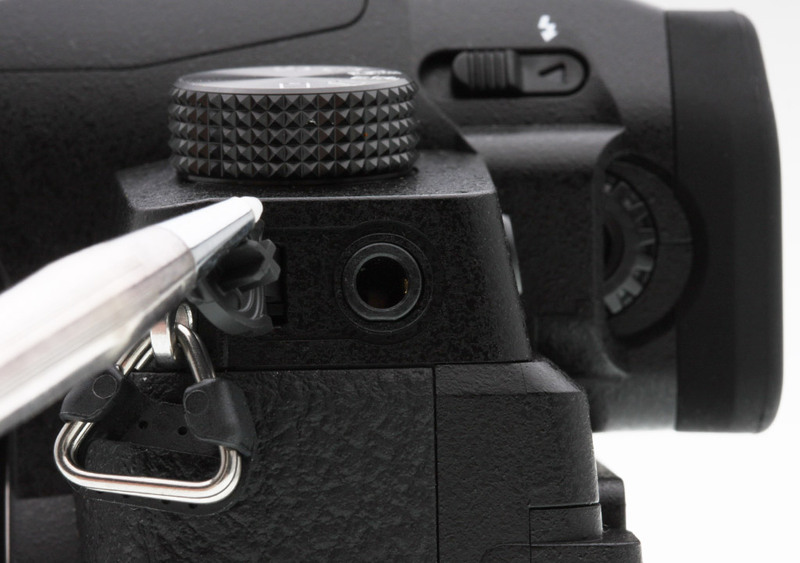 The shape of the camera has been revised, and the front and rear grips have been changed to be more comfortable. Further, the actual surface of the camera has changed as well, thanks to feedback from G85 users suggesting their cameras are a bit too smooth and difficult to grip. Another effort to improve usability comes in the form of larger buttons, something that G9 owners have enjoyed on their flagship MFT camera. Within the reach of your shooting hand, the G95 offers many important controls, including dedicated ISO, White Balance and Exposure Compensation buttons near the shutter release. On the G85, the top deck included a Fn1 button that controlled exposure compensation, by default, but ISO and white balance were handled via directional buttons on the rear of the camera. The G95 has been designed around the idea of simple, intuitive one-handed operability. The top of the camera also includes a drive mode dial to the left of the viewfinder and a mode dial to its right. The G95 also retains the G85's built-in flash. 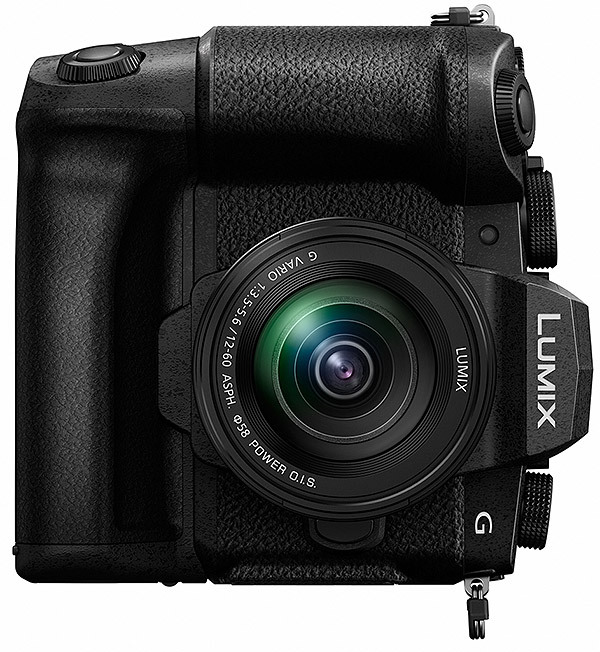 Panasonic has also designed the G95 to be easy to use while shooting through the OLED viewfinder. The EVF has the same specs as the one found in the G85, 2,360K dots with 0.74x magnification, but it features a new eyecup design and uses improved materials. Continuing with the back of the camera, the G95 incorporates a similar 3-inch vari-angle touchscreen display as the G85 and G9, but ups the resolution from 1,040K to 1,240K dots. In terms of rear controls, the G95 has eliminated the four directional buttons found on the back of the G85 in favor of a rotating control dial with directional buttons and a single Menu/Set button in the center -- a control shared with the G9 and GH5. Beneath this dial, there is a Fn2 button (Q. Menu) and a DISP. button. Above the dial, there is a Playback button and AF/AE lock button with a surrounding focus mode lever. 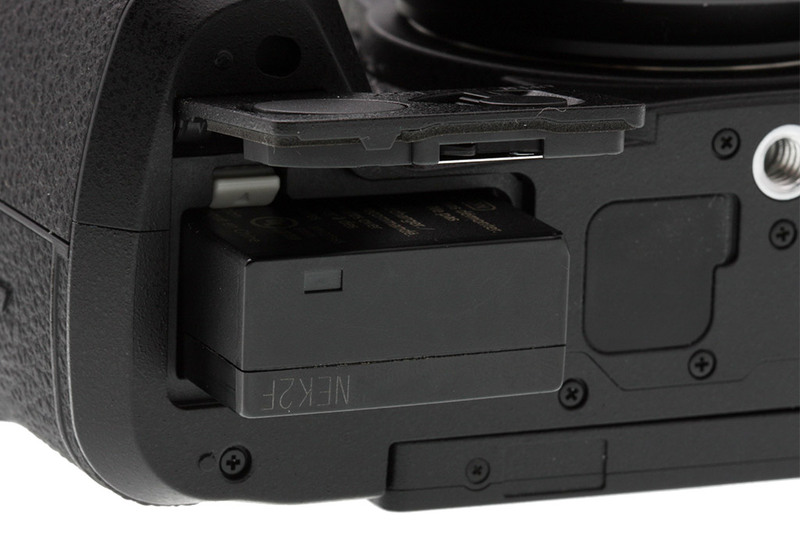 To the left of the EVF, there is a single button, the Fn3 (LVF) button. 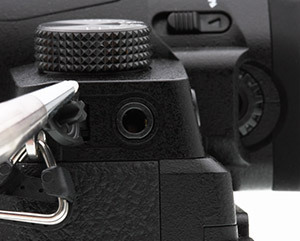 This means that nearly every button is accessible to your right hand while shooting. The G95 utilizes the same 20.3-megapixel sensor as is found in the G9. To help ensure resolving capabilities and overall image quality, the sensor does not include an optical low-pass filter. While this increases the risk of moiré, which did appear in our lab testing, it has benefits as well, as the G9 delivered impressive overall image quality in our review. The native ISO range of the G95 is 200 to 25,600, which can be expanded downward to ISO 100, the same as the G9 and G85. To help keep your shots sharp at slower shutter speeds, the G95 includes a similar Dual I.S.2 image stabilization system as is found in the G85, which promises up to five stops of image stabilization with lenses offering up to a 280mm equivalent focal length. This system offers 1.5 fewer stops of stabilization than the newer iteration found in the G9 but remains compatible with Dual I.S.1 and I.S.2 lenses. Every current Panasonic lens featuring O.I.S. is compatible with at least Dual I.S.1, but many are compatible with Dual I.S.2., including the 12-60mm kit lens that comes with the G95 in the US. The G95's autofocus system is also the same as found in the G85, which means it uses Panasonic's Depth From Defocus contrast-detect autofocus technology and includes 49 autofocus points. 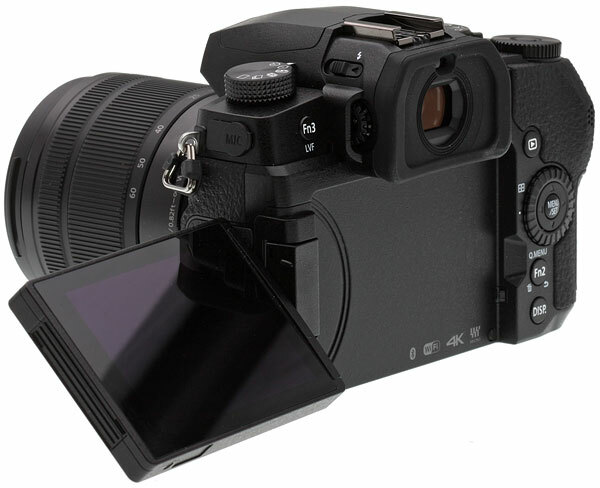 Panasonic claims the AF system acquires focuses in as little as 0.07 seconds and can focus in low-light down to -4 EV (AFS at ISO 100 and f/2), provided that there is ample contrast in the subject. In low contrast scenarios, such as the 10 percent contrast test target Panasonic uses for testing, the G95 is rated down to -1 EV. The G95's focus control system operates at 240 frames per second and utilizes vector and distance tracking for continuous autofocus. Additional autofocus features include Custom Multi focus group mode, Face/Eye detect autofocus, Full Area AF (which allows for focusing on any point in the entire frame) and Touch AF. Further, you can also set the autofocus point to automatically rotate when you switch between landscape and portrait orientations while shooting. For shooting specifically in low light, the G95 offers the same Live View Boost functionality as is found in the G9 and GH5 series. This allows you to temporarily brighten the display to check composition when in dark shooting conditions. Further, the G95 includes Starlight AF, which allows you to focus on stars in basically pitch-black night shooting conditions. For general manual focus work, the G95 offers a 20x enlarged view Manual Focus Assist feature and focus peaking. 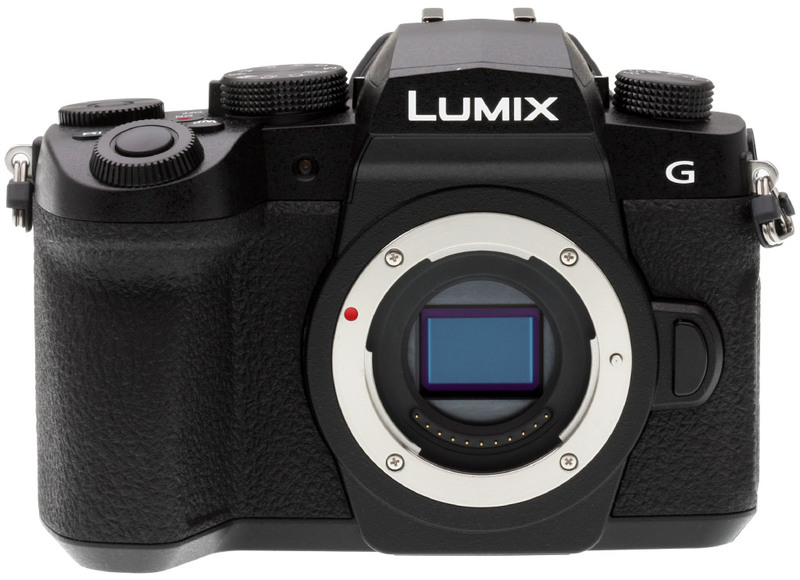 Getting back to night shooting, the G95 introduces Live View Composite, a first for Panasonic Micro Four Thirds cameras. The additive capture mode can be accessed by putting the camera into manual mode and then rotating the shutter speed all the way past bulb and to LC. Once the shutter speed is set to LC, you can turn on Live View Composite in the camera's shooting menu. From here, you set an initial exposure time from 1/2s to 60s, and the camera will run a noise reduction algorithm. After this, the camera captures and compiles any additional light information gathered onto the sensor for up to three hours, meaning that a static light source, such as city lights, will not be continuously recorded in your nighttime scene. Additional new shooting features for the G95 include a L. Monochrome D Photo Style and a new Grain Effect, features we first saw introduced on the GX9. The new black and white style offers deeper blacks and richer gradation than previous monochrome styles. Further, the G95 has added AWBc (cool) and AWBw (warm) auto white balance options for retaining cool and warm tints, respectively. The Panasonic G95 includes in-camera raw processing and Clear Retouch, which allows you to remove unwanted objects from a scene using the touchscreen. Looking at continuous shooting performance, the G95 can record images with AFS at up to 9 frames per second and with AFC at up to 6 frames per second. These are roughly the same speeds as the G85. Buffer depths on the G95 are 30 raw images or 600 JPEG images when recording at full-resolution at the camera's maximum shooting speeds. Speaking of shooting speeds, the G95 has mechanical and electronic shutters offering exposures as fast as 1/4,000s and 1/16,000s, respectively. An electronic first curtain option is also provided, up to 1/2,000s. The longest exposure supported is 30 minutes, in bulb mode. 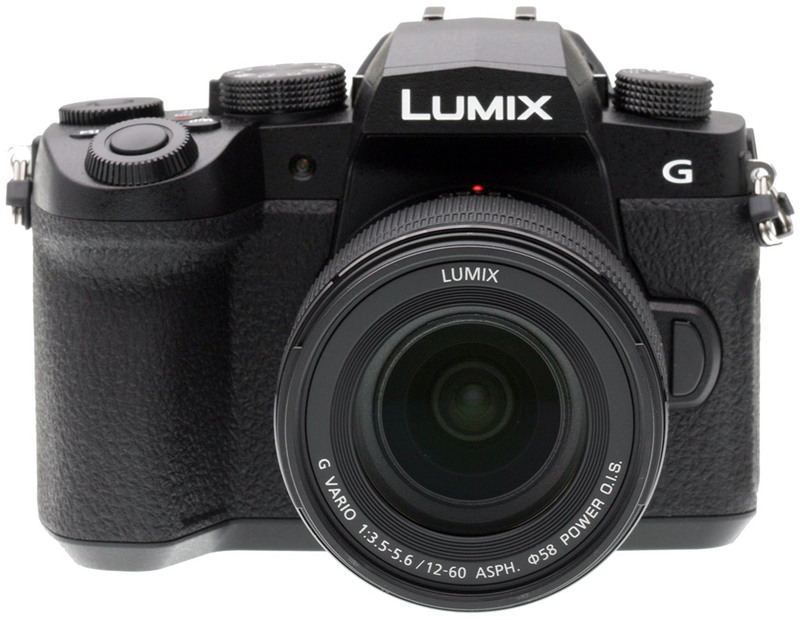 Like other Panasonic cameras, the G95 includes 4K Photo functionality. This allows you to capture 4K images (8 megapixels) at up to 30 frames per second with an "unlimited" buffer. This mode is accessible via a dedicated mode on the camera's drive mode dial and includes the standard trio of modes: 4K Burst, 4K Burst (start/stop) and 4K Pre-Burst, which starts recording images before you fully depress the shutter. The G95 offers a 4K Photo Bulk Saving function, which automatically stores 150 4K photos to your card, complete with EXIF data. 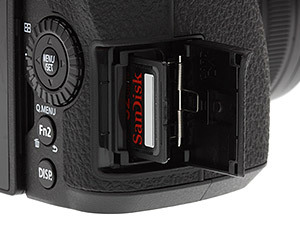 Otherwise, the photos are saved as an .MP4 file and you will need to extract stills, without EXIF data, on your computer. The G95 includes a couple of additional neat 4K Photo features, including Auto Marking and Sequence Composition. Auto Marking allows you to set priority to detect action or faces, which are both handled via the autofocus system. When the camera adjusts focus when detecting motion or identifies a face, it establishes marking points in the 4K Photo sequence. There's a Sequence Composition function as well, which allows you to combine from 3 to 40 frames into a single frame. For example, if you shot an action sequence of a bird flying, you could combine the individual frames into a single shot showing the bird at different points of flight. Like other Panasonic cameras, there is also 4K Photo focus control, including Post Focus and Focus Stacking. The G95 is compatible with the same weather-sealed DMW-BGG1 vertical grip that was released alongside the G85. It comes with an additional battery, effectively doubling the battery life of your camera and making vertical photography easier. Having established that the G95 is designed to be a hybrid camera, it should come as no surprise that it includes numerous interesting video features. It's not quite a GH5, but the G95 does seem quite capable as a video camera. It can record 4K UHD (3,840 x 2,160) video at up to 30 frames per second with no recording limit, depending upon ambient temperature (more on that in a bit), and it has high-speed modes for Full HD video as well. When recording at Full HD (1,920 x 1,080) resolution, the G95 can output from the sensor at up to 120 frames per second, which can be played back as 4x slow motion with a 30fps timeline output. 4K video is cropped, by the way, like it was on the G85 (the G9 and GH5(S) offers full sensor readout when recording 4K and can shoot 4K/60p). The G95 does have some new tricks up its sleeve. Firstly, it has V-LogL included, making it the second Lumix camera after the GH5S to offer it pre-installed. It also includes both mic and headphone jacks, the latter of which is not included in the G85. 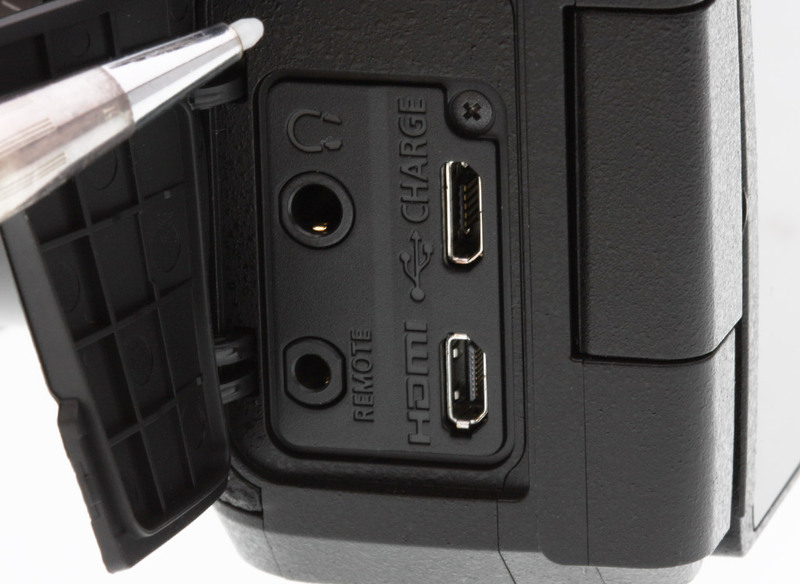 V-LogL is 4:2:0 8-bit, although the camera can output 4:2:2 8-bit video over its HDMI port. Panasonic states that with an accurate exposure, the user can expect up to 12 stops of dynamic range when recording V-LogL video. 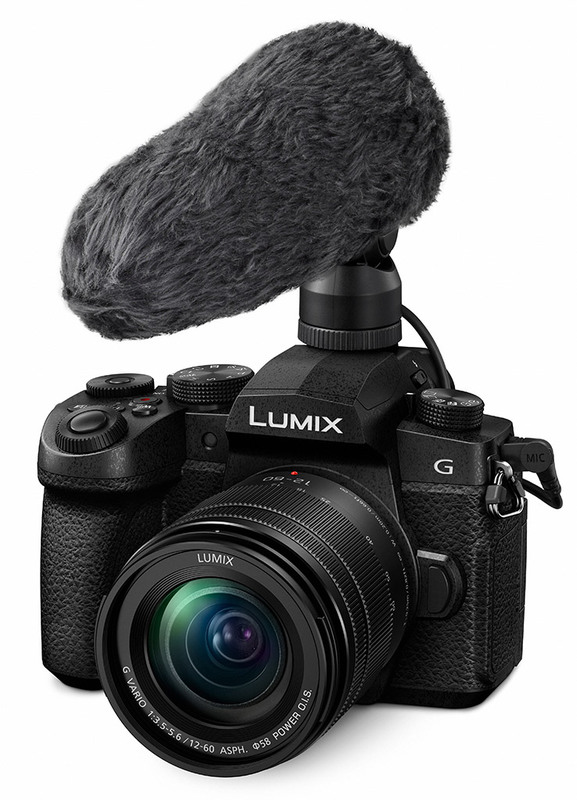 While the GH5 series offers better range, Panasonic believes that the G95 can still work as a B or C camera. Looking further at video quality, the G95's 4K video has a 100Mbps bit rate and FHD records at 28Mbps, which are the same specs as the G85. Coming back to thermal management, it's notable that the G95 doesn't have a recording limit when shooting 4K video. However, if the camera is used in hot environments, the internal sensors may detect excessively high ambient temperatures and then warn you that the recording may need to be stopped. Panasonic told us that this is unlikely because of the company's extensive history with thermal management and focus on designing products with intelligent heat dissipation, including both heat simulation during design and iterant thermal testing with actual cameras. Additional video features include Cinelike gamma, zebra patterns, a center marker, custom settings for autofocus speed and sensitivity for video and more. Further, as mentioned earlier, the articulating display should work nicely for vlogging. Further testing is needed, of course, but it will be interesting to see if the G95 succeeds as a true hybrid camera. The G95 uses the same DMW-BLC12 battery pack as the G85 and is CIPA rated to capture approximately 290 images on a single charge using its default power mode with either the EVF or LCD. The camera does include a Power Save LVF shooting mode, which only enables the viewfinder when the shutter is at least half-pressed. When in this mode, the camera is rated for 1,000 shots. The G95 is also compatible with the same DMW-BGG1 vertical grip as was released alongside the G85, which itself comes with a battery, effectively doubling the battery life of your camera and making vertical photography easier. The vertical grip is weather-sealed as well. However, the G95 comes with a different battery charger than the G85 did, the DMW-BTC12, which includes a USB-AC adapter. The new battery charger is plugged into a wall outlet via a cord rather than plugging the entire unit into the wall. The G95 can also be charged via USB or powered via USB, although you do need a battery installed in the camera to use USB Power Supply, as it first charges the battery which then subsequently powers the camera. Including a standalone charger as well as offering USB charging/power is rather handy. You can, obviously, easily have a spare battery charging, ready to go, or if you're recording video for long periods of time or shooting stills for an extended time, you can easily continuously power the camera over USB -- either via an outlet or portable USB battery pack. Looking at the ports, the G95 adds a 3.5mm headphone jack in addition to its 3.5mm mic jack, Micro-B USB 2.0 port, HDMI Type-D port and a 2.5mm remote port. 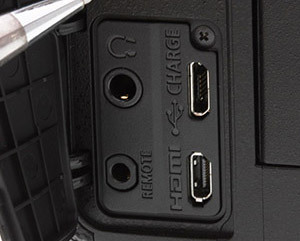 These ports are all located on the left side of the camera. 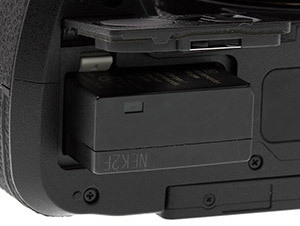 On the right side, there's a single UHS-II SD card slot, offering a small but convenient improvement over the G85, which had its SD card slot down inside the battery compartment. With respect to wireless connectivity, the G95 adds Bluetooth 4.2 (Low Energy) in addition to 2.4GHz Wi-Fi. You can use your smartphone as a shutter release or utilize its GPS to add GPS data to your image files as you are shooting using Panasonic's Image App. The Panasonic G95 is not a replacement for either the G85 or the G9, although it promises features and performance above and beyond the G85 with some advantages over the G9 in certain cases as well. The new G95 has the same 20.3-megapixel sensor as the G9, versus a 16-megapixel sensor found in the G85. Despite utilizing the same sensor as the G9, though, the G95 offers the same 4K Photo modes and performance as the G85, meaning that the G95 does not offer the G9's 6K Photo functionality. 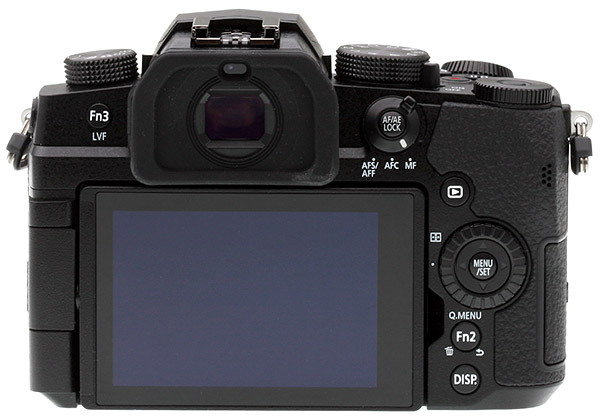 The G95 does not include the same advanced DFD autofocus system as is found in the G9, meaning it won't focus as quickly nor include as many autofocus points as the G9. Similarly, the G95 does not shoot as quickly as the G9, topping out at 9fps when using AFS and 6fps with continuous focus, which is 3fps slower than the G9 in both cases. 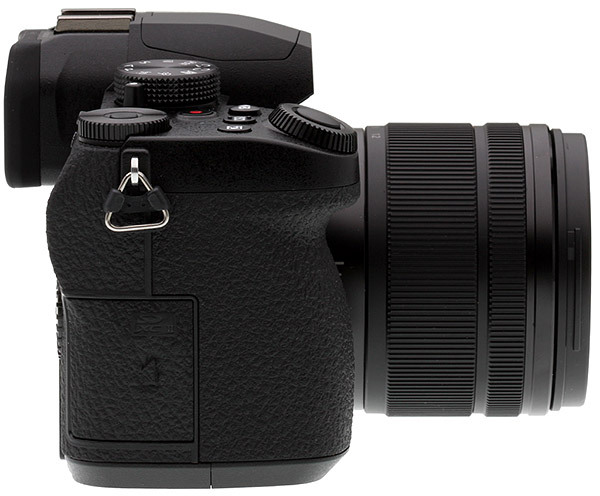 It also doesn't offer the G9's ultra-fast 60fps (AFS) and 20fps (AFC) full-res burst modes with electronic shutter. The G95's top full-res burst rate remains at 9fps regardless of shutter type. The G95's top shutter speeds and X-Sync speed aren't as fast as the G9's either. However, the G95 is smaller and more compact than the G9, while offering improved physical controls and ergonomics compared to the G85. Like the G9 and unlike the G85, the G95 includes dedicated ISO, white balance and exposure compensation buttons near the shutter release. Unlike the G9, there is no status display on the G95, which makes sense given that there simply isn't any room for one on the G95's smaller body. The G95's viewfinder is improved when compared to the one found in the G85, featuring a redesigned eyecup and improved quality of materials, but offers the same 0.74x magnification (in 35mm equivalent terms) and resolution. This means that it is not quite as large or high-resolution as the EVF in the G9, which has 3,680K dots versus 2,360K and a 0.83x magnification. 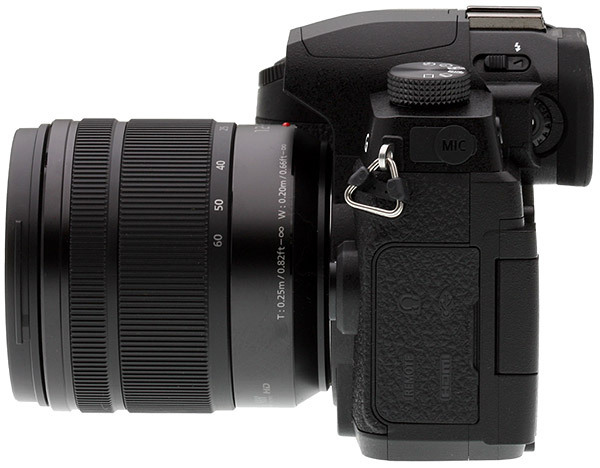 There is a new shooting mode present in the G95, however, which marks a first for Panasonic Micro Four Thirds cameras. The G95 includes a Live View Composite mode, which works similarly to Olympus's "Live Composite" shooting mode. There is also another rarity with respect to video shooting on a Lumix MFT camera; the G95 includes V-LogL built-in, something no other Panasonic MFT camera besides the GH5S has offered. Granted, the V-LogL is not the same 4:2:2 10-bit as you can record with a GH5S. The G95 also has no 4K video recording limits, while the G9 is limited to 29:59 at 30/24p. But the G95's 4K video is cropped (~1.25x) while the G9 and GH5/GH5S are full width. In summary, the G95 is designed to offer an improved compact ILC user experience above and beyond that of the G85, while at the same time, offering some of the key features of the G9 and doing a better overall job of blending photo and video capabilities into a single camera body than either the G85 or G9. The G95 will be hitting store shelves in May. There are some regional differences to point out, however. 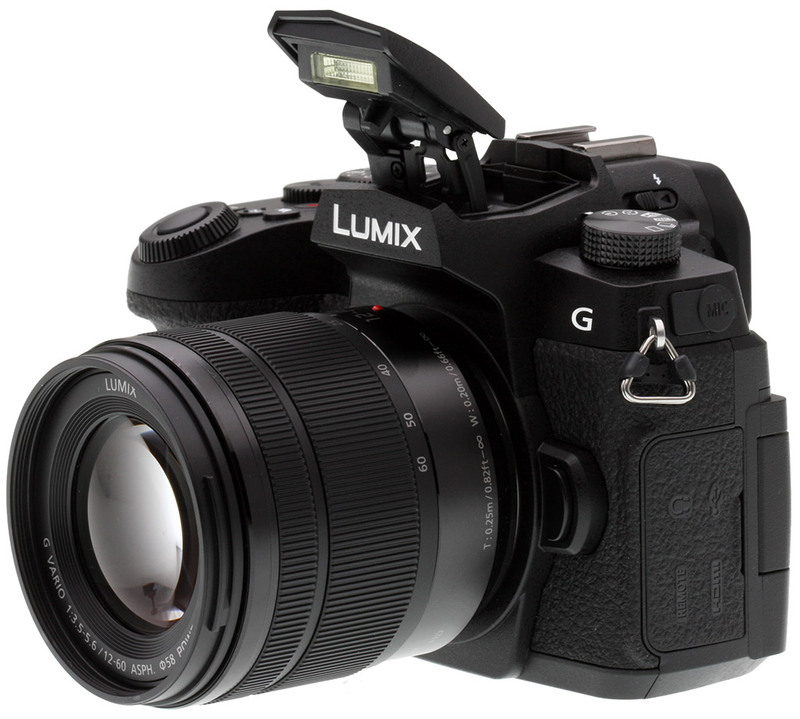 In the United States, the situation is simple, the G95 will only be officially available in a kit with the Lumix G Vario 12-60mm f/3.5-5.6 ASPH Power O.I.S. lens. For those who hoped to upgrade from the G85 or other older Panasonic camera, the lack of a body-only option will surely disappoint. In other markets, there are some variations. For example, in European markets, the G95 has an OLED rear display rather than the LCD in the North American version, and some markets will have a kit option with a revised 14-140mm zoom lens that now features weather sealing.